Prof. Juergen Czarske (Life Fellow OSA and SPIE, Fellow EOS, Senior Member IEEE) holds a Ph.D. (1995) and a Venia Legendi (2003) from Leibniz University of Hannover. As postdoc he has worked in USA and Japan. Since 2004 he is full professor based at TU Dresden. Since January 2016, he is Director of Institute of Circuits and Systems. 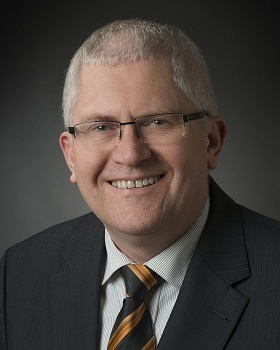 His awards include the 1996 AHMT Measurement Technique Prize, a 2008 international Berthold Leibinger Innovation Prize, a 2014 Reinhart Koselleck Award and the 2019 Joseph Fraunhofer Award and Robert M Burley Prize of OSA. He is an elected member of Scientific Society for Laser Techniques, COST BioBrillouin, Brussels and Saxon Academy of Sciences. Juergen has published about 200 papers in peer-reviewed journals, has presented over 100 invited talks and holds over 20 Patents. He is the general chair of ICO-25, 2020, in Dresden, Germany. The International Commission for Optics (ICO) is an umbrella organization for optics and photonics, incorporating over 50 national territories and academic societies such as European Optical Society (EOS), The Optical Society (OSA), Institute of Electrical and Electronics Engineers (IEEE), and the International Society for Optics and Photonics (SPIE). Abstract: Recent advances in dynamic digital holography and programmable photonics are addressed. Light transport in complex disordered media is a fundamental phenomenon and plays an important role in biomedicine. Light is scattered in biological tissue, limiting the penetration depth. Wavefront shaping is an emerging novel technique ushering a paradigm change in biomedicine. Unconventional imaging through opaque media such as the skull of mice will be presented. Lensless holographic fiber endoscopes with keyhole optical access were realized as convenient way to universal light field generation. It allows the functional control of genetically altered cells by optogenetics using light stimuli with high spatiotemporal resolution. Optogenetics is expected to better understand, alleviate or even treat neurodegenerative diseases such as Parkinson's disease. This talk will highlight these innovations and their potential high impact applications. The dramatic progress of the dynamic digital holography showing that the best in biomedical microscopy is yet to come. 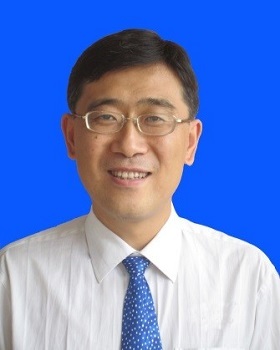 Chunlei Guo is a Professor in The Institute of Optics at University of Rochester in the US and Changchun Institute of Optics, Fine Mechanics, and Physics in China. He directs the Guo China-US Photonics Laboratory, a laboratory housed in a 30,000-sq-foot research facility. His main research interest is in laser-matter interactions. His work has led to the discoveries of a range of laser-produced highly functionalized materials, which promise a broad range of technological applications and were extensively featured by the media, including 4 times on the New York Times. He is a Fellow of American Physical Society and Optical Society of America. His scientific service includes editorship and chairmanship for many optics journals and international conferences. Currently, he is the Editor-in-Chief for one of the most recognized handbooks in the field of laser and optics, CRC Handbook of Laser Technology and Applications (2nd Edition). Abstract: Femtosecond lasers are a powerful tool for high-precision material processing and functionalization. In this talk, I will discuss some of our recent advancements and activities in femtosecond laser micro- and nano-processing, including the resulting surface structures, their formation dynamics, and the drastically altered surface functionalities. I will also discuss the broader research activities in my lab, including extreme nonlinear optics, advanced material developments, nanophotonics, and ultrafast metrology. Satoru Yoneyama received his bachelor's and master's degrees in Mechanical Engineering from Aoyama Gakuin University in 1995 and 1997 respectively and Ph.D. degree in Mechanical and Control Engineering from Tokyo Institute of Technology in 2000. He was affiliated with Aoyama Gakuin University, Wakayama University, Tokyo University of Science, and Osaka Prefecture University. He is currently a Professor at Aoyama Gakuin University. He is a member of SEM, BSSM, SPIE and other profession societies. He is now serving as an associate technical editor of Experimental Mechanics. He received the Outstanding Paper Award from the Japanese Society for Photoelasticity in 2000, the Rising Researchers Award from JSNDI in 2002, the R.E. Peterson Award from SEM in 2002, the Outstanding Paper Award from JSNDI in 2003, the Incentive Award from JSNDI in 2008, the Technology Award from JSEM in 2008, A.J. Durelli Award from SEM in 2014 and A.S. Kobayashi Award from ICCES in 2016. His research interests are optical methods, viscoelasticity, fracture mechanics and contact mechanics. Abstract: Photoelasticity is the most useful technique for studying stress fields around a crack tip and contact stresses that are difficult to accurately evaluate using numerical and theoretical methods. On the other hand, recent expansion of digital image correlation demands appropriate methods for evaluating stress fields around a crack. In order to characterize moving cracks using photoelasticity, some techniques including an elliptically polarized white light method, and an instantaneous phase-stepping method have been developed. These methods have been successfully applied to evaluate rolling contact stresses in viscoelastic media and stress fields of an oscillating crack under thermal load. In addition, some methods for evaluating fracture parameters including stress intensity factor and J-integral from measured displacements are presented as applications of digital image correlation. 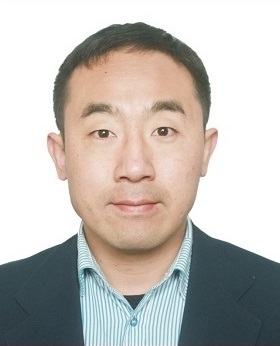 Jianlin Zhao is a professor on physics and optical engineering in the Department of Applied Physics, School of Science, Northwestern Polytechnical University (NPU). He was conferred on the PhD degree on optics from the Xi’an Institute of Optics and Precision Mechanics, Chinese Academy of Science, in 1998. 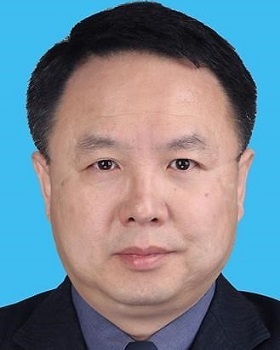 Now he is the director of the Shaanxi Key Laboratory of Optical Information Technology and the Key Laboratory of Material Physics and Chemistry under Extraordinary Conditions, Ministry of Education (MOE), China. 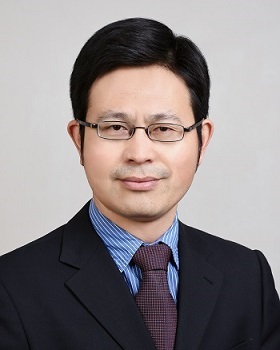 He is also the executive chief editor of the Chinese journal of Acta Optica Sinica and the chairman of the Specialty Committee of Holography and Optical Information Processing, Chinese Optics Society. 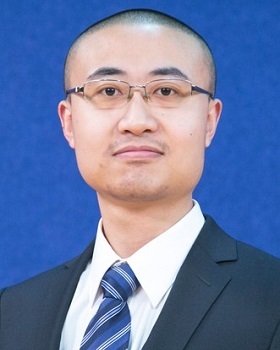 His main research interests are digital holography, light field manipulation and information processing, micro-nano photonics and optical fiber sensors. Abstract: Digital holography has made great progress in recent years, which is a full field, non-destructive, high-resolution technique that can real-time capture the quantitative amplitude and phase information of objects. It has been successfully applied to different measurement fields, such as measure biological cells, complex flow fields, refractive index, deformation, etc. In this talk, some of our recent research advancements about basic theory of digital holography, design of digital holographic interferometers and digital holographic microscopes, and their related applications will be discussed. At the same time, some new technologies in digital holography, such as surface plasmon resonance holography, deep learning-based light field reconstruction, etc. will also be discussed. Xiaoyuan He received his BS degree from the Department of Applied Mechanics at Nanjing University of Science and Technology, China, in 1982, MS degree from the Department of Mathematics and Mechanics at Southeast University in Naning, China, in 1987, and PhD from the Institute of Mechanics at Southwest Jiaotong University, Chengdu, China, in 1994. Currently, he is a professor in the Department of Engineering Mechanics at Southeast University. His research interests include 3D shape and deformation measurements by optical method and image processing techniques. Abstract: Among the numerous photo-mechanics methods, shearography and digital image correlation are two most popular methods for deformation measurement of engineering structures. Both methods do not require special vibration isolation. Shearography is a laser-based technique and digital image correlation is an image-based technique, both for full-field, non-contacting measurement of surface deformation (displacement or strain). History development, measurement principles and typical applications of these two methods will be introduced. By sharing and discussing these two methods, in the future, we hope that optical deformation measurement methods can play a greater role in the field of engineering. 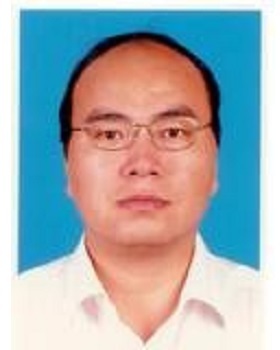 Dr. Xide Li is a professor in the Department of Engineering Mechanics at Tsinghua University. He received his B.Sc degree from the Department of Physics of Northwest University at Xi’an in 1986 and his M. Sc and Ph.D degrees in Engineering Mechanics in 1989 and in Mechanical Engineering in 1992, respectively, from Xi’an Jiaotong University. He was a guest researcher at Luleå University of Technology in Sweden in 1997 and Hong Kong University in 2000, and 2002 respectively. From 1993 to 1998, he was a postdoctoral research fellow and an associate professor at University of Science and Technology of China. He joined Tsinghua University as an associate professor in 1999 and then promoted to a full professor. 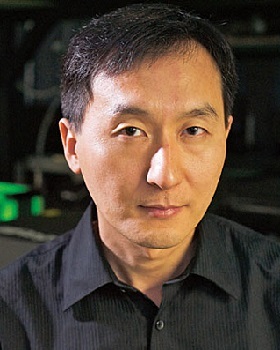 He is a member of a council of Chinese Society of Theoretical and Applied Mechanics (CSTAM), the member of OSA (Optical Society of America) and American Nano Society, Vice-president of Experimental Mechanics Committee of CSTAM, and the Secretary-General of Beijing Society of Theoretical and Applied Mechanics (BSTAM). Professor Li’s current research fields are Micro/Nanomechanics, Experimental mechanics, and Mechanics of structures and materials in aerospace. He has edited several special issues in the international Journals, and authored and co-authored more than 170 scientific and technical papers, including Nature Nanotechnology, Nature Communications, Physical Review Letters, etc. Abstract: As a novel ultra-strong 1-D material, carbon nanotubes/bundles (CNTs/CNTBs) have already drawn numerous studies on their tensile behaviors in recent years. However, due to the small size of CNTs/CNTBs, tensile or fatigue fracture experiments of them are extremely challenging, and measurements of the tensile failure strength of individual tubes are fairly limited. Especially, when a scanning electronic microscope (SEM), a transmission electron microscope(TEM) or an atomic force microscopes(AFM) is used, one cannot ensure accurate and reliable measurement and manipulation, which results a greatly discrepancy for the extant theories and experiments. In this report, we introduce the optical visualization, and for the first time, real-time measure tensile and fracture mechanical properties of ultra-long CNTs/CNTBs on an optical microscope. The parameters, such as elastic modulus, fracture strength, breaking strain and fatigue life of CNTs/CNTBs are obtained, and interactions in intertube and interwall are also measured. We find that the tensile strength of CNTs/CNTBs is controlled by the Daniel effect due to the nonuniformity of the initial strains in the bundle components and exhibits a quasi-exponential decrease with the component number increasing. A synchronous tightening and relaxing strategy is proposed to release the nonuniform initial strains of the CNTB components, which makes the tensile strength of CNTBs greatly improved to be 80 GPa. Meantime, this report will also present the most recent research of us on the fatigue behavior of individual CNTs. An ultrahigh fatigue-resistance can be reached and no detectable crack propagation in the fatigue process of CNTs is found. A kinetic analysis of fracture theory is used to well describe the relationship of lifetime and applied stress. Our research is of great significance for understanding the tensile deformation mechanism of CNTs/CNTBs and revealing their failure mechanism. 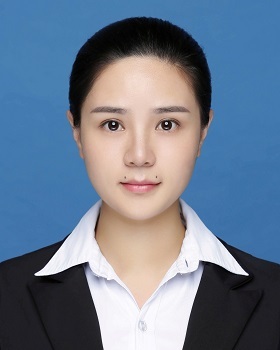 Yingjie Yu obtained her doctor degree in 1998 and master degree in 1996 from Harbin Institute of Technology，China. From 1999, she works at the department of precision mechanical engineering, shanghai university. Her research area is optical metrology and interesting focuses on digital interferometry, digital holography and electronic speckle interferometry. Now her projects are about in-situ testing of large size optics by non-interferometric theory supported by National Natural Science Foundation of China (NSFC), research and engineering development of wavelength tuned phase shifting algorithms by the Ministry of Science and Technology of China (MOST). She is the executive director and secretary-general of the precision machinery branch of china instrument and control society (CIS). Abstract: Interferometry is a high-precision measurement method for precise optical elements. It is widely used in terminal inspection of components and in-process research. At present, a trend in production is the integration of processing and process testing. The dynamic characteristics of dynamic interferometer make it adaptable to the workshop environment and can be used to test under certain vibration conditions. Therefore, it has been widely used in in-situ testing during production process. Nevertheless, a necessary condition is that the surface roughness and gradient of the measured profile should be controlled within a certain range, which limits the application scope of the interferometer. Non-interferometric methods, such as transport-of-intensity equation (TIE), provide another thought for the testing of optical elements under workshop conditions. Non-interferometric method has better adaptability to measuring environment and surface quality of optical elements, but it needs to solve the problems of testing resolution and accuracy. This report will introduce the measurement of large size optical elements in workshop environment based on dynamic interferometer, including the measurement results of different size workpieces. At the same time, the research work on non-interferometric measurement of optical elements and the surface profile measurement results of planar and cylindrical elements will be introduced. 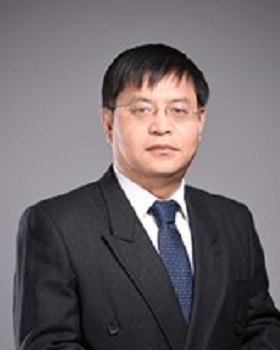 Prof. Ying Luo is the Ph.D supervisor of Jiangsu University, the Director of National Center for International Research on Structural Health Management of Critical Components. Prof. Luo got his Ph.D degree from Measurement & Control Technology major in 2000 at Nanjing University of Aeronautics and Astronautics. As a senior visiting scholar, he had been in Twente University of Netherlands from March to September, 2004. 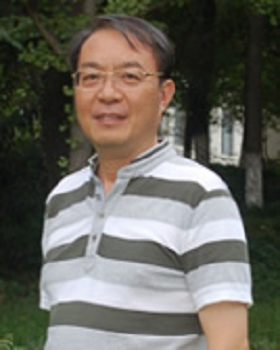 Prof. Ying Luo has been working in the Faculty of Science, Jiangsu University since 1983. His research field is mainly focused on Structural Health Management of large-scale structures and multi-physical field coupling theory. Abstract: More attention has been drawn to ultrasonic guided waves (UGW) based damage detection method for its advantages of wide range inspection of large-scale structures. However, complex propagation characteristics of guided waves as well as traditional contact ultrasonic transducers limit its application for the practical damage detection. To this end, the laser Doppler vibrometer is adopted to develop a non-contact wave filed sensing platform, which has the advantages such as non-contact, remote sensing and high spatial resolution. A new dispersion removal algorithm is proposed to effectively remove the dispersion effect of guided waves. Various of guided wave-based damage imaging methods are developed for different detection needs. Furthermore, A new sparse sampling and wave field reconstruction method based on compressed sensing theory is developed to improve the efficiency of non-contact damage imaging. Relevant research for non-contact and accurate damage imaging have shown its academic significance and engineering application prospects. Zhou, Lei received his PhD in Physics from Fudan University, Shanghai, China, in 1997. He then went to Institute for Material Research in Tohoku University (Sendai, Japan) for postdoctoral research. In 2000 - 2004, he was a visiting scholar in Physics Department of the Hong Kong University of Science and Technology. He joined Physics Department of Fudan University in 2004 as a professor, and became a “Xi-De" Chair Professor since 2013. 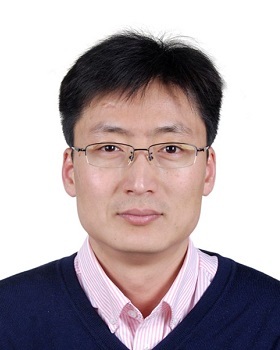 Starting from 1993, Lei Zhou has been working in the fields of magnetism, meta-materials, photonic crystals and plasmonics, and he has published over 160 papers in scientific journals including Nature Materials, PRX, PRL, LSA, Nano Lett, etc. He is the co-author of a monograph (Springer) and 3 book chapters. He has held several international conferences as general chair, co-initiated the A3 Metamaterials Forum series, severed as program committee members or session chairs in many top international conferences, and has been invited to give invited talks in many top international conferences. 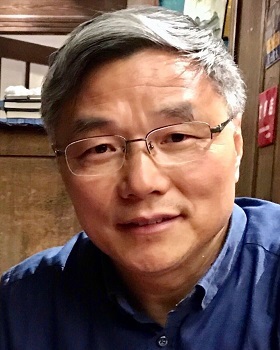 Lei Zhou got many awards, including the NSFC "Grant for Outstanding Young Scientist" (2007), the "Chang Jiang Scholars Program" Chair Professorship (2009), the “OSA Young Scientist Award” (2016), “APS Outstanding Referee” (2017) and OSA Fellow (2019). Abstract: The unrestricted control of terahertz (THz) waves is important in science and applications, but conventional THz devices suffer from issues of bulky size and low efficiency. Metasurfaces, ultrathin metamaterials that consist of planar subwavelength units (e.g., meta-atoms) with tailored electromagnetic (EM) responses, have demonstrated unprecedented capabilities in controlling EM waves. In this talk, I will summarize our latest efforts in constructing metasurfaces and metadevices for controlling THz waves, both statically and dynamically, generating fascinating physical effects such as high-efficiency photonic spin-Hall effect, background-free Bessel-beam generation, high-efficiency (spoof) surface-plasmon excitation, and dynamically controlled beam steering, etc. 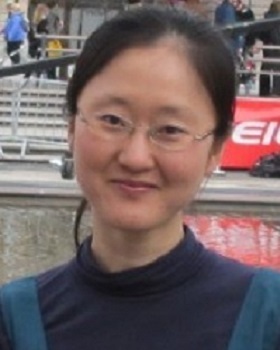 Xuming Zhang is currently an associate professor with Department of Applied Physics, Hong Kong Polytechnic University. He received BEng degree in Precision Mechanical Engineering from the University of Science & Technology of China (USTC) in 1994, and Ph.D. degree from School of Electrical & Electronic Engineering, Nanyang Technological University (NTU) in 2006. His research resulted in more than 100 journal papers and has been extensively reported by public media. His current research interests cover mainly microfluidics, artificial photosynthesis, biomimetics and green energy. Abstract: Natural photosynthesis (NPS) stores solar energy into chemical compounds and is the workhorse in green crops to produce food materials. However, the NPS has low energy efficiency (~1%) and is limited by arable lands, climate, seasons and water supply. Food shortage has long been a big threat since the start of mankind and is in urgent need of a scientific solution. Artificial photosynthesis (APS) mimics the NPS but with higher energy efficiency (~10%) and more simplicity. This talk will present our efforts in pursuit of continuous production of the basic food material – glucose by using microfluidics technology. Although still a long way to go, this research field bears the hope to solve the food shortage problem and may prepare for future space colonization. Prof. Huijie Zhao received her PhD degree in 1994 in Harbin Institute Technology (HIT) majoring in precision instrument. Her research interests include 3D measurement techniques and application in industry, optical imaging system modelling, simulation and evaluation, hyperspectral data processing, etc. She has been PI of more than 50 research projects, including the major instrument project of National Natural Science Foundation, National 863 Project, China Geological Survey project etc. and awarded the Second Award of National Invention twice. She has published more than 100 research papers and hold more than 50 National Invention Patents of China. She has supervised more than 20 PhD candidates so far. Abstract: From the perspective of 3D vision, the current status and the difficulties faced of various information acquisition technology in intelligent manufacturing are summarized and analyzed. The key technologies of 3D vision and intelligent analyzing, which supports Cyber-Physical Production System (CPPS), are discussed. The requirements of data processing and computing resources are discussed. Taking the example of rapid and high-precision 3D vision measurement for aerospace manufacturing, the development and the outlook of industrial 3D vision in the form of providing data feedback and key technologies for intelligent manufacturing are also discussed in detail, which may find the wide applications in robot-assisted assembly as well as the integration of processing, measurement and control process. 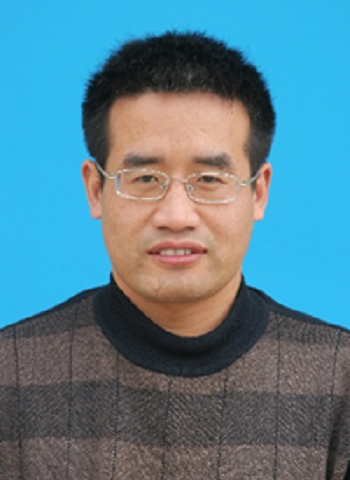 Dr. Chao Zuo is a professor at the department of Electronic and Optical Engineering, Nanjing University of Science and Technology (NJUST). He received his Ph.D. and B.S. from Nanjing University of Science and Technology in 2014 and 2009. He was a research assistant at Centre for Optical and Laser Engineering (COLE), Nanyang Technological University (NTU), Singapore, from 2012 to 2013. In 2014 and 2016, he was exceptionally promoted to associate professor and full professor of NJUST, respectively. Now he is the principal investigator of the Smart Computational Imaging Laboratory (SCILab: www.scilaboratory.com) at NJUST where the research interest focuses on computational bio-imaging, noninterferometic phase retrieval, digital holographic microscopy, optical information processing, and high-speed 3D optical sensing. He has authored over 100 peer-reviewed journals publications, including more than 50 papers published in JCR Q1 journals, e.g. Opt Lett, Opt Express, with over 2,300 citations. 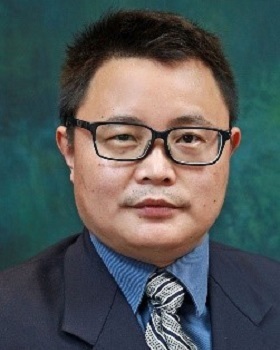 He is an Associate Editor of IEEE Access (03/2019-), Microwave and Optical Technology Letters (03/2019-), Topical Editor of Acta Optica Sinica (06/2017-). 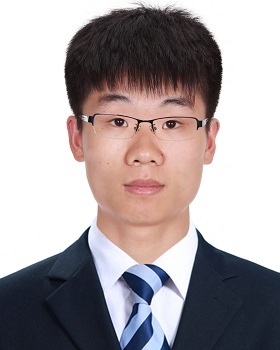 He has been selected into the Natural Science Foundation of China (NSFC) for Excellent Young Scholars (the youngest awardee in the field of electronic information, 2017), Outstanding Youth Foundation of Jiangsu Province (the youngest awardee, 2017), the "Six Talent Peak" program, and "333 project" of Jiangsu Province, China. He received the first "National Excellent Doctoral Dissertation" of Optical Engineering Nomination Award, “Wang Daheng Optical Award” of Chinese Optical Society, the first "Youth Optical Technology Award" of Jiangsu Province, China etc. He is the principal investigator (PI) or CO-PI of 4 NSFCs, National Key Technologies R&D Program of China, and Key Technologies R&D Program of Jiangsu Province, with the total funding awarded over ¥ 13 million. Abstract: High-throughput quantitative phase imaging (QPI) is essential to cellular phenotypes characterization as it allows high-content cell analysis and avoids adverse effects of staining reagents on cellular viability and cell signaling. Among different approaches, Fourier ptychographic microscopy (FPM) is probably the most promising technique to realize high-throughput QPI by synthesizing a wide-field, high-resolution complex image from multiple angle-variably illuminated, low-resolution images. However, the large dataset requirement in conventional FPM significantly limits its imaging speed, resulting in low temporal throughput. In this talk, we report two optimum illumination schemes for FPM to achieve high-speed or even single-shot QPI. We present the high-speed imaging results of in vitro Hela cells mitosis and apoptosis at a frame rate of 25 Hz with a full-pitch resolution of 655 nm at a wavelength of 525 nm (effective NA = 0.8) across a wide field-of-view (FOV) of 1.77 mm2, corresponding to a space–bandwidth–time product of 411 megapixels per second. We also discuss how FPM can be extended to optical diffraction tomography (ODT) under Born or Rytov approximation (termed FPDT), achieving wide FOV, high-resolution, depth-resolved complex refractive index (RI) image across large volumes. With FPDT, we present the highest-throughput ODT results with 390nm lateral resolution and 899nm axial resolution across a 10x FOV of 1.77mm2 and a depth of field of ~20μm. Billion-voxel 3D tomographic imaging results of biological samples establish FPDT as a powerful non-invasive and label-free tool for high-throughput 3D microscopy applications. Yukitoshi OTANI is a professor of Department of Optical Engineering, and vice director of Center for Optical Research and Education (CORE), Utsunomiya University, JAPAN. He received his doctor's degree from the University of Tokyo in 1995. After working for a brief period at HOYA Corp., he worked at Tokyo University of Agriculture and Technology as a research associate and an associate professor until 2010. He was a visiting professor at College of Optical Sciences, the University of Arizona from 2004 to 2005. He joined the CORE, Utsunomiya University as a professor from April 2010. His current interests include polarimetry, interferometry, optical measurement and optomechatoronics. He is a SPIE fellow from 2010. 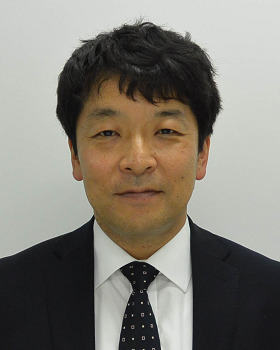 He was a board member of the Japan Society for Precision Engineering from 2013 to 2016, the general chair of the International Symposium on Optomechatronic Technology, ISOT 2016 and the general char of the Optics and Photonics Japan, OPJ2016. He is working the head of Polarization Science and Engineering Group in OSJ from 2015. Abstract: Polarization technology has become an important area in the field of optical science and engineering, especially in display technology, optical data storage, semiconductor technology, nano-material research, bio-technology and interferometry. We have proposed some new technologies using polarization camera whose adjacent 4 pixels are aligned to 0, 45, 90 and 135° of azimuthal direction of linear micro-polarizer array. The presentation highlights our latest results comparing three different types of polarization cameras by 4D technology, Photonics-lattece and Sony. We demonstrate high-speed polarization imaging and related technologies by the polarization camera. Secondly or an environmental sensing using polarization camera is introduced, especially focused to automatic driving vehcles. 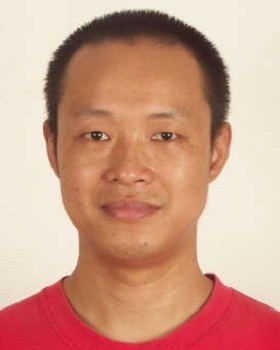 Xiangchao Zhang, born in 1982, is currently an associate professor at Fudan University, China. He is a member of ISO TC/201, OSA, SPIE, ASPE, IEEE, and Shanghai Laser Society. He graduated from University of Science and Technology of China in 2005 and received his PhD degree at University of Huddersfield, UK in 2009. In 2011, he joined Department of Optical Science and Engineering, Fudan University. Dr Zhang’s research interests include precision optical measurement, surface metrology and computational imaging. He has achieved a series of important results on freeform surface characterisation, multi-scale analysis, deflectometric measurement of specular surfaces, digital holographic microscopy etc and published more than 70 papers. He has leaded several research grants including National Natural Science Foundation of China, National Key R&D Program of China etc. He won a Second Prize of Science and Technology Development, Ministry of Education of China in 2016. 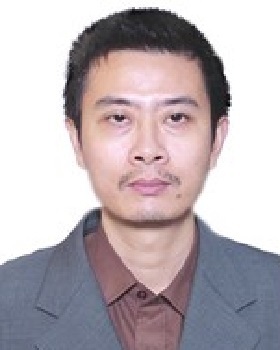 He is a peer reviewer of more than 20 international journals and a project reviewer of NSFC of China and EPSRC of UK. Abstract: The in-situ precision measurement of freeform optical surfaces is a challenging task in precision engineering. Phase measuring deflectometry is a powerful measuring technique for complex specular surfaces. The SCOTS method is applied to address the ‘height ambiguity’ problem. An accurate self-calibration method is proposed to refine the positions of the camera and the screen. Assisted with the pre-knowledge surface, a world coordinate system is established by introducing a flat mirror without markers. Phase demodulation in the second direction is implemented by reusing the modulating information in the first direction, and phase unwrapping is conducted pixel-by-pixel with reverse ray-tracing, so that only six frames of images are required and the measuring efficiency and stability can be greatly improved. A surface reconstruction method is developed based on the total variation regularization and a stitching algorithm is developed to obtain the data of the whole surface. Experimental results demonstrate that the measurement error is within 200 nm, and the main error sources turn out to be the aberrations including the defocus and field curvature. Further effort will be conducted to address these issues and improve the measuring accuracy of in-situ deflectometry. Dr. Bing Pan is a full professor in School of Aerospace Science & Engineering at Beihang University (BUAA), China. He received his Ph.D degree in Mechanical Engineering from Tsinghua University in 2008. After working with Professor Anand Asundi in Nanyang Technological University (Singapore) as a postdoctor, he joined Institute of Solid Mechanics, BUAA in 2009. His current research interests mainly focus on advanced optical techniques and their applications in experimental mechanics, especially the digital image/volume correlation techniques for surface/internal deformation measurement of solid materials and structures, as well as new experimental techniques for characterizing thermo-mechanical behavior of hypersonic materials and structures. He has published more than 100 peer-reviewed articles in international journals, including 8 review papers, 5 ESI highly cited papers and 4 cover stories. All the publications more than 8000 times according to Google Scholar. Dr. Pan was selected for Youth Changjiang Scholars (Minitstry of Education, China) in 2016, and won the National Natural Science Funds for Excellent Young Scholar of NSFC in 2013. Abstract: In the calibration of stereo-rigs for 3D large-scale measurements, a highly accurate calibration pattern is needed. However, it suffers from hard-manufacturing and defocusing in a large field of view (FOV). To circumvent this issue, we propose an easy-to-implement yet accurate calibration method that combines the defocus insensitivity of phase targets and the flexibility by a mirror-based extrinsic calibration procedure. Two mirrors are used to generate a virtual stereo-system with a short working distance and a monitor displaying active phase target will fill most of the common FOV of the two virtual cameras. A series of tests were performed to demonstrate the capability of the proposed method (within a working volume of 3m × 2m × 1.8m (width × height × depth) with an error less than 0.1% of the FOV), open to new possibilities for large-scale measurements in mechanical and civil engineering applications. Ma Shaopeng is a professor in the Beijing Institute of Technology (BIT) in China. He obtained his doctoral degree from the Tsinghua University in 2003. His research interests involve mechanical measurements based on high-speed and super-resolution imaging, monitoring and evaluation of super-large-scale aerospace structures, and developing high-performance photomechanical instruments. He is currently the Deputy Head of Extreme Environmental Testing Group of Experimental Mechanics Committee in the Chinese Society of Theoretical and Applied Mechanics. Abstract: Deformation measurements of large-scale structures such as aircraft and satellite antennas are critical for guiding reliability design and understanding service conditions of such structures. Owing to the advantages of full field, non-contact and easy adjustment of observation scale, the deformation measurement methodologies based on image acqusition have gradually become the main means of large-scale structural deformation measurement. However, due to the intrinsic contradiction between the field of viewing and the spatial resolution, the accuracy of actual measurement is comparatively low, which limits the application fields and performances of such methodologies. The present report will introduce the last results on high-accuracy photomechanical methodology and its applications, including: high-temporal /spatial array imaging measurement method, image-based super-resolution deformation analysis method, and large-scale structural deformation photomechanical measurement system. Finally, some engineering applications such as large-scale deployable antenna motion parameter measurement and full-machine drop-off structure deformation measurement will be introduced. 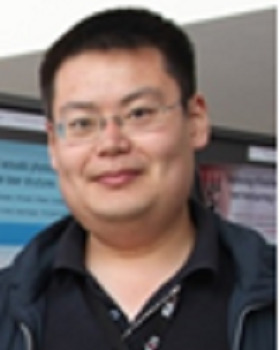 Dr. Feng Gao is a Reader of Metrology and Instrumentation working at the Centre for Precision Technologies (CPT) of University of Huddersfield. His main research interests are in the field of 3D form measurement using fringe projection and deflectometry technologies and interferometry for on-line surface inspection. He studied precision measurement and instrumentation as an undergraduate and postgraduate student in Tianjin University. After his postgraduate study he worked as an Assistant Engineer and Engineer in the National Institute of Metrology of China and as a visiting scholar at the PTB, Germany. Thereafter he became a Ph.D. student in Coventry University. Following his Ph.D. study, he worked as a Research Associate in Loughborough University. Subsequently he joined the CPT at the University of Huddersfield as a senior research fellow. Abstract: Least-squares integration (LSI) and radial basis function integration (RBFI) methods are widely used to reconstruct specular surface shape from gradient data in a deflectometry measurement. The traditional LSI method requires gradient data having a rectangular grid, and RBFI method is effective at handling small size measurement data set. High-order finite-difference-based least-squares integration method (HFLI) was proposed as a least-squares based integration method with high order truncation errors to reconstruct surfaces in the Southwell geometry. Practically, the amount of gradient data is rather large and data grids are in quadrilateral shapes. This means that the traditional LSI or HFLI method and RBFI method are not effective at directly handling this kind of measurement data. We proposed two advanced surface reconstruction algorithms, namely EI-HFLI and LSI-T methods to integrate the quadrilateral grid gradients and handling data from gradient measurement techniques when data grids are not uniform and is comparable. Shien Ri received his PhD degrees in Systems Engineering from Wakayama University in 2007. He was an assistant professor at the Department of Nanomechanics, Tohoku University from 2008 to 2010. Currently, he is a senior researcher at the National Institute of Advanced Industrial Science and Technology (AIST). His research interests include optical method, experimental mechanics and moiré technique. 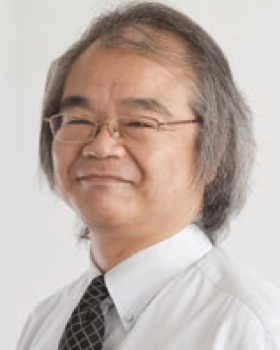 He is a lifetime member of the SPIE and the SEM, and the member of the Japan Society of Experimental Mechanics (JSEM) and the Japanese Society for Non-Destructive Inspection (JSNDI). Abstract: Phase measurement plays an important role in optical science and technology and has been used for many applications. The sampling moiré (SM) and the windowed Fourier transform (WFT) and algorithms have been extensively used due to their high effectiveness in demodulation of carrier fringe patterns. Until now, they are mostly recognized as entirely different techniques, since they are developed independently. In this study, we first compared the theoretical accuracies of two methods by simulation, and the performance by a real experimental fringe pattern. We confirm that the phase measurement accuracies of SM and WFT are quite similar, despite their different ideas and algorithms. Besides, we discovered that two seemingly different techniques can be linked up and unified. SM is theoretically proved to be a special WFT algorithm when setting with specific windows and without frequency scanning. This finding can help us to simplifies the technique selection and enables further insights for developing even better fringe analysis techniques. Dr. Su graduated got his bachelor degree from University of Science and Technology of China, Mater degree from Tianjin University, and Phd degree from Nanyang Technology university. He used to work as a senior research engineer in Singapore Institute of Manufacturing Technology (SIMTech), and now he is an associate professor in Beihang University, China. Dr. Su has more than twenty years of research experience in the field of photomechanics and its application in IC packaging, he has helped some famous companies (e.g. HP Singapore and Philips Netherlands) to solve their technical problems in failure analysis and reliability evaluation of electronic packages. In Beihang University, he chaired three projects from National Natural Science Foundation of China, and published series of papers in microelectronics reliability, Journal of electronics packaging, etc. Abstract: Experimental mechanics plays an important role reliability evaluation and failure analysis of IC packaging. In this presentation, some principal experiment methods ( e.g. moiré interferometry, infrared photoelasticity, micro-Raman spectrometry, nano-indention,acoustic emission and laser ultrasonic ) and their applications in deformation, stress measurement and thermo-mechanical property investigations of IC packages were introduced. Yidong Tan received the B.S. and Ph. D. degrees from Tsinghua University in 2003 and 2008, respectively. He became a faculty at Tsinghua University in 2010. He was a visiting scholar at California Institute of Technology. He was awarded China National Science Fund for Excellent Young Scholars in 2017. His current research interests are laser technology and precision measurement. He is now a principal investigator of three projects supported by National Nature Science Foundation Programs, one project by National Instrumental Key Program and two projects by Natural Science Foundation Programs of Beijing. He has published 81 papers recorded by SCI, received about 30 patents and has been invited for presentation more than 30 times in international conferences. 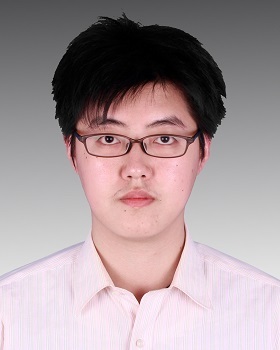 He was awarded as ‘excellent graduate of Tsinghua University’, Wang Daheng prize for University students of Chinese Optical Society, and excellent postdoc of Tsinghua University. He also serves as an editorial board member of several journals, such as Infrared and Laser Engineering, Laser Technology and Journal of Applied Optics. Abstract: This talk focuses on laser precision measurement technology and applications, including two aspects: traditional laser interferometry and ultra-highly sensitive laser feedback interferometry. To break through limitations of low measurement speed, relatively low efficiency and accuracy, we designed laser source based on Zeeman Effect and stress-induced-birefringence, with high power (>1mW), large frequency difference (>3MHz) and ultra-low linearity error (0.15nm). We have supplied more than 60 laser sources or interferometers for industrial applications such as lithography and machine tools. To achieve high sensitivity, we developed the laser frequency-shifted feedback technology which has been applied in component internal stress measurement, optical imaging technology, nanometer-scale displacement measurement without target mirror, and long-distance sound recovering and monitoring. Zhihui CHEN, Full Professor, Taiyuan University of Technology, China. He got Ph.D degree from Royal Institute of Technology (KTH) of Sweden and Beijing University of Posts and Telecommunications, China. He was proposed as the Eni Award nomination of 2017, “Sanjin Outstanding Talents”, “Top Young Talents of Shanxi Province”, and “Top Young Academic Leaders of Shanxi”. He was awarded 3M Creative Award, Excellent academic paper award in Shanxi, etc. 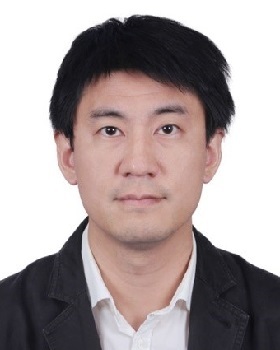 He has been invited to serve as the Editor of the journal “Chinese Optics”, TPC member of the 3M-NANO Conference, Session Chair of the AOM Conference, grant reviewer for NSFC and regular referee for 13 international journals. His research interests focus on the Micro/Nano structures for light scattering and absorption. He has successfully led 8 research projects (as PI) funded by National Natural Science Foundation of China (NSFC), Ministry of Education of China, etc., published more than 50 refereed journal articles. He was also invited to give more than 10 invited talks at international/national conferences. Abstract: The light absorption and emission has been manifested to be vitally important via its versatile applications ranging from solar cells, photodetectors, stealth to LEDs and fluorescence biosensors. Nowadays, large broad-band absorption or large directional emission has been pursued in various photonic devices. This presentation will show the possibility and potential of designing novel hybrid micro/nano optical coupling structures with extreme performance and advantages of large broad-band absorption or large directional emission for light absorbing devices and fluorescence biosensors. 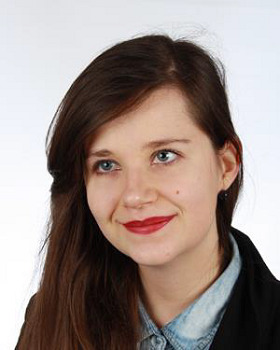 Maria is a PhD student from Warsaw University of Technology working in Professor Patorski’s group. She is working on the development (analysis, modification, implementation, tests) of advanced algorithmic solutions for dynamic demodulation of the object amplitude and phase distributions from a single fringe pattern (interferogram, hologram). The main focus is put on the novel numerical method called variational image decomposition used for fringe pattern filtration with the possibility to find new applications (e.g., minimization of demodulated phase map errors, aberration correction). In particular, her research is devoted to adapting and precisely tailoring novel numerical methods to create pioneering algorithms in the field of data analysis for interference microscopy. Abstract: Variational image decomposition (VID) and empirical mode decomposition (EMD) are the up-to-date image processing algorithms. They enable dissection of the analyzed image into a set of meaningful components representing characteristic features on different scales. In this contribution we present a series of modifications and especial tailoring of both methods with a goal of proposing robust, versatile and efficient tool for fringe pattern processing (filtering out the noise and background). Hybrid powerful technique merging both VID and EMD with Hilbert spiral transform is demonstrated as a “black-box” algorithmic solution for quantitative phase imaging purpose. It is verified to automatically operate on a parameter-free notion ensuring high quality phase map at the output while accepting extremely wide range of single-shot holograms/interferograms as input, regardless the fringe pattern origin and main features (kind and level of noise, strong background illumination, low contrast, twisted fringes etc.). Presented technique is validated using static (i.e., prostate) and dynamic (i.e., spermatozoon) bio-cell analysis. Additionally its natural and seamless application in optical metrology of technical objects is corroborated. Dongsheng Zhang got his PhD degree at Tianjin University in 1993. He became an associate professor in Department of Astronautic technology, National University of Defense Technology (NUDT) in 1994. He became a senior research scientist at Mechanical Engineering, University of Maryland Baltimore County in 2000. And he joined Department of Mechanics, Shanghai University as a full Professor in 2003. His research interests include advances in opto-mechanics, such as photoelasticity, moire, speckle interferometry and digital image correlation. Abstract: Shearography is an interferometric method and has been widely applied in non-destructive evaluation (NDE). In order to meet the requirement of space technology, two dedicated shearography devices have been developed to identify debonding defects in solid rocket engines. Artificial intelligence (AI) has been introduced to aid defect recognition from the resulted phase shifting fringe patterns. A recognition algorithm based on deep learning has been developed using Faster R-CNN model for recognition of the butterfly-type fringe patterns which indicate bonding defects. Meanwhile, shearography can also be used as a precision optical method for characterization of the coefficient of thermal expansion (CTE) of rigid materials. A specially designed experimental setup has been developed. The variations of CTE of carbon fiber reinforced composite (CFRP) laminates from -60℃ to 180℃ were evaluated. Prof. Baoli Yao has had 22 years professional experience in optics & photonics since he obtained the Ph.D. degree in 1997 from Xi'an Institute of Optics and Precision Mechanics, CAS. He is currently the director of State Key Laboratory of Transient Optics and Photonics, China. His fields of research include: super-resolution and 3D optical microscopy, digital holographic microscopy, optical micro-manipulation and micro-fabrication, optical data storage and information processing. He invented the DMD-based LED-illumination structured illumination microscope (SIM) and got the 90nm lateral resolution. He designed and developed an optical tweezers system, which has been successfully commercialized. He implemented the high density holographic optical data storage in biomaterial. He has published more than 230 papers in peer-reviewed journals and 6 book’s chapters, and owned 17 Chinese invention patents. He obtained the “High-speed Imaging Award of Japan” in 2015. Abstract: Super-resolution image reconstruction for structured illumination microscopy (SIM) is routinely conducted in the frequency domain (FDR), which is prone to suffering from artifacts and time-consuming due to the post-data processing. Here, we propose a new approach to directly attaining super-resolution images for SIM in the spatial domain reconstruction (SDR). There are only two-step operations: image multiplication and summation. And the multiplied coefficient matrixes are only dependent on the parameters of the structured illumination light field, which can be pre-calculated to save the processing time. Therefore, the image reconstruction speed of SDR is much faster than that of FDR. Because there is no operation in frequency domain, the inherent problem of image artifacts is fully eliminated. The SDR approach obtains the super-resolution image about 50-fold faster than that of the conventional FDR method, boosting SIM as an ideal tool for instant super-resolution imaging with the feature of “What You See Is What You Get”. The validity of SDR approach is verified by both numerical simulation and experiments of biological samples and dynamic fluorescence beads. 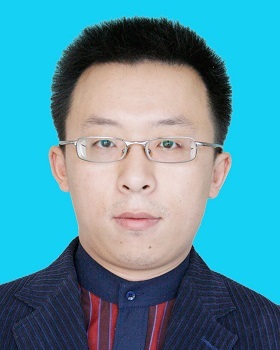 Shijie Feng received his PhD in optical engineering at Nanjing University of Science and Technology (NUST) in 2017. He was a research assistant at Centre for Optical and Laser Engineering, Nanyang Technological University from 2015 to 2016. He was a postdoctoral researcher at NUST from 2017 to 2019. Currently, He is an associate professor at the Department of Electronic and Optical Engineering of NUST. His research interests include phase measurement, high-speed 3D imaging, fringe projection, machine learning, and computer vision. Abstract: In many optical metrology techniques, fringe pattern analysis is the central algorithm for recovering the underlying phase distribution from the recorded fringe patterns. Despite extensive research efforts for decades, how to extract the desired phase information, with the highest possible accuracy, from the minimum number of fringe patterns remains one of the most challenging open problems. Inspired by recent successes of deep learning techniques for computer vision and other applications, here, we demonstrate for the first time, to our knowledge, that the deep convolutional neural networks can be trained to perform fringe analysis, which substantially enhances the accuracy of phase demodulation from a single fringe pattern. The effectiveness of the proposed method is experimentally verified using carrier fringe patterns under the scenario of fringe projection profilometry. Experimental results demonstrate its superior performance in terms of high accuracy and edge-preserving over two representative single-frame techniques: Fourier transform profilometry and windowed Fourier transform profilometry. Yong Li was born on Jan 1972, in Zhejiang, China. He received his B.S. degree from Zhejiang Normal University in 1994, M.S. degree from Zhejiang University in 2003 and Ph.D. degree from Sichuan University in 2006. He is now a professor of Zhejiang Normal University. 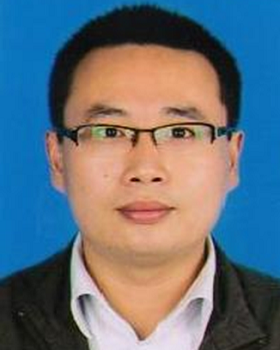 His research interests include optical information processing, optical 3D shape measurement and 3D display. Abstract: Infrared 3D image has broad application prospects in industrial inspection and security. The quantum efficiency of industrial camera in infrared band is dramatically lower than that in visible light band. Long exposure time of camera is needed to obtain high quality image. The phase error caused by motion can not be ignored in dynamic 3D measurement system based on infrared fringe projection. To solve this problem, the windowed Fourier analysis assisted phase shifting is proposed. Three sinusoidal fringe patterns with phase shift of 2π/3 and one encoded pattern are adopted in this approach. The measurement procedure is as follows. Firstly, the phase of every deformed fringe pattern is estimated with windowed Fourier analysis. Secondly, the phase difference, which is regarded as the actual phase shift between adjacent patterns is estimated. Thirdly, the wrapped phase of deformed fringe pattern is estimated with least-squares method and the code is recovered. Fourthly, the absolute phase is obtained from the wrapped phase and its corresponding code. Finally, the 3D shape of object is recovered. The experiments were carried out to verify the proposed approach. The results show that the phase error caused by motion is significantly reduced. Haixia Wang received her B.S. and Ph.D. degree in Computer Engineering from Nanyang Technological University, Singapore, in 2007 and 2012, respectively. She is currently an associate professor in College of Computer Science & Technology, Zhejiang University of Technology, China. Her research interests include optical metrology, image processing, parallel computing, and 3D shape measurements. Abstract: Point cloud registration is a critical issue for 3D model reconstruction in fringe projection profilometry. Iterative closest point (ICP)-based methods are most commonly used in past few decades. Due to their least squared fitting nature, they are usually sensitive to overlapping area, noise and resolution differences. Coarse registration is required as pre-processing, where human invention is often involved. In this paper, an automatic point cloud registration method is proposed. A 9-layer three-dimensional convolutional neural network called 3DMATCH is established for robust local feature extraction. It has stronger discrimination and anti-interference capability than traditional methods and does not require any manual design. Feature matching is then performed with the RANSAC method to eliminate the mismatched pairs. Consequently, a transformation matrix is obtained. Bi-directional ICP is further applied to optimize the registration results. The proposed point cloud registration method is automatic and robust to small overlapping area, noise and resolution changes. The experimental results show that the proposed algorithm has high registration accuracy and fast calculation speed, thus suitable for 3D model reconstruction. 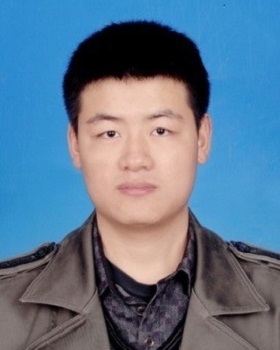 Peng Gao studied Physics and received his Ph.D at the Xi’an Institute of Optics and Precision Mechanics (XIOPM) in 2011. He was a “Humboldt Fellow” in University Stuttgart (2012-2014) and later Marie-Curie Fellow (IEF) in KIT/University Manchester. He is currently appointed as a full professor at Xidian University and leads a biological imaging and spectroscopy group there. The main research lines include but not limited to: (a) phase microscopy in term of digital holographic microscopy (DHM) and reference-less phase retrieval; (b) Super-resolution microscopy and correlation spectroscopy. He had authored around 50 peer-review papers, including Nature Photonics, Advance of Optics and Photonics, and Optics Letters. Some of their works were highlighted by “Nature Methods”, “IOP selection”, “Spotlight on Optics”, and international media such as Science Daily, Physics News, Advance of Engineering. Abstract: With the progress of biomedical studies, people desire for utilizing different optical microscopic approaches to investigate a biological system, providing multi-dimensional information from different perspectives. Aiming to this, we investigate phase and fluorescence dual-modality imaging in a confocal laser scanning microscopy (CLSM) system. To perform phase imaging, the depth of field (DOF) of the CLSM system was extended by using a tunable acoustic gradient index of refraction (TAG) lens. Under transmitted illumination, a few intensity images of a sample at different defocusing distances were recorded, and the phase image was reconstructed from these intensity images by using transport-of-intensity equation (TIE). 3D sectioned fluorescence images were obtained by 3D scan of the excitation focus through a sample. Of note, the ultrafast axial scan was performed by the TAG lens, enhancing the imaging speed of the CLSM by ten folds. The obtained dual-modality images with pixel-to-pixel correspondence reveal for the same sample complementary information (structural/functional), providing the probability to extract complex parameters. We demonstrate the combination of the two imaging modalities enables standalone determination of the refractive index of live cells. 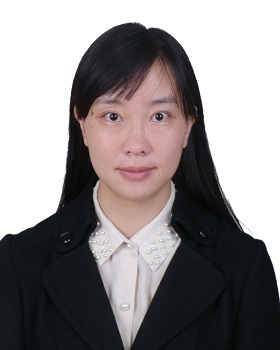 Dr. Wen-Long Li is a Professor at the State Key Lab of Digital Manufacturing Equipment & Technology, Huazhong university of Science and Technology(China), and is selected as the “Cheung Kong Scholar” Young Scholar in 2018. Dr. Li received the B.S. degree (2004) in mechanical engineering and automation from Xi’an Jiaotong University, the Ph.D. degree (2010) in mechatronic engineering from Huazhong University of Science and Technology, and joined as a Post-Doctoral Researcher in control engineering. Dr. Li focuses on the surface inspection and robotic machining, and has published over 40 scientific articles. His research achievements have been applied to surface inspection and robotic machining in aviation/automobile/nuclear fields. Abstract: 3D optical measuring provides a quick inspection method for automation manufacturing of complex surfaces. In recently, many optical scanning equipments have been developed. However, there are usually onsite measuring defects in acquiring point cloud, such as uneven point density, overlapping and measuring noise. This report will roundly introduce the optical scanning principles, point cloud processing algorithms (differential information estimate, point simplification/smoothing, point-surface matching, point-surface distance error) and a self-developed software iPoint3D for surface inspection. In addition, the application of the data processing algorithms and surface inspection software are presented, including blade inspection, crankshaft inspection, flange face inspection, visual location of robotic machining and so on. Yongmao Pei received his bachelor’s degree and PhD degree from Department of Engineering Mechanics at Tsinghua University, China. After working in the Beijing Institute of Technology (BIT), he joined in the College of Engineering at Peking University, China. 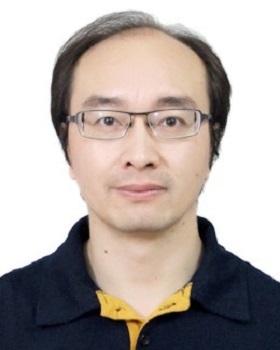 His research interests include microwave super resolution imaging and non-destructive testing (NDT) method， Multi-field experimental mechanics methods and instruments of advanced materials and structures; Analysis and multifunctional design of mechanical metamaterial. Abstract: Microwave near-field has some advantages of local, in-situ and non-contact. Due to the evanescent waves in the near-field bring more details than the propagating waves, the local microwave properties of dielectric material can be imaged by the near-field microwave, resulting in sub-wavelength imaging. However, most of the microwave near-field probes cannot operate in high-temperature environments, although local imaging of high-temperature dielectric materials is increasingly required in the engineering field. In this paper, microwave near-field scanning imaging device that can work at high-temperature is reported, a super-resolution is experimentally achieved, and validated using the full-wave simulations. Dr. Jianguo Zhu obtained his M.S in Jiangsu University and Ph.D in Tsinghua University. Now he works in Department of Mechanical Science and Engineering in Jiangsu University as a professor. Until now, he has published over 50 papers. His current research is focused on the development of optical measurement techniques including digital image correlation and laser interferometry. Abstract: In order to eliminate the limitations of the conventional 3D-DIC system, we proposed a 3D digital image correlation (3D-DIC) method and established a measurement system on the basis of a bilateral telecentric lens (BTL) and a bi-prism. The performance of the proposed system is verified through the rigid-body translation tests. As a comparison, the same rigid-body translations are measured using a single entocentric lens 3D-DIC system. The results show that the retrieves of the object points’ 3D coordinates using the proposed system are simple and fast. Also, measurement accuracy of this system is proved higher than that of the entocentric lens-based one. Furthermore, the systematic errors caused by manufacturing deficiency of the bi-prism and distortion of the BTL are analyzed. The bi-prism deficiency and the BTL distortion are characterized by two in-plane rotation angles and distortion coefficients, respectively. A modified mathematical model is proposed, which takes these systematic errors into account and corrects them during the 3D reconstruction procedure. Experimental results demonstrate that the proposed method suffers from only a small error in morphology reconstruction (less than 0.3 %) and is able to measure the in-plane elastic strains with an accuracy of 95 με. As an application, the self-developed system is used to measure the thermal linear expansions of a ceramic plate at elevated temperatures. Rationality of the measurement results verifies its applicability in deformation measurements, especially in high temperature environment. 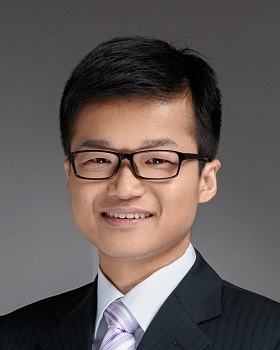 Xiang Guo received his BS degree, MS degree and PhD from the school of Mechanical Engineering at Xi'an Jiaotong University, China, in 2006, 2009 and 2014. Currently, he is an associate professor in the school of aeronautics at Northwestern Polytechnic University.His research interests include deformation measurements at complex environment by optical method and image processing techniques. Abstract: The identification for the dynamic and high-temperature behavior of materials has traditionally been essential in many engineering applications. Despite the large amount of research activity in this area, testing materials at high strain rates and high-temperature still presents a challenge from the experimental point of view. This paper proposes methods for de-blurring of images captured in the dynamic deformation of materials and de-noise the digital image with the light noise. De-blurring is achieved based on the dynamic-based approach, which is used to estimate the Point Spread Function (PSF) during the camera exposure window. Compared to the Gauss method and the Lucy-Richardson method, it has the best result of image restoration. By using the de-noise algorithm, the method was demonstrated to be capable of providing accurate DIC measurements in the light noise environment. The verification, comparative and realistic experiments were conducted using the method. It is demonstrated from image processing applications that the method can improve the accuracy and the stability of the digital imaging correlation measurement. Fanxiu Chen, Ph. D., Professor, Come from Qingdao University of Technology, is engaged in solid experimental mechanics. 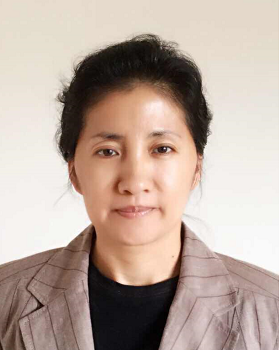 At present, she is the member of Test Technology Committee of Production Engineering Branch of China Mechanical Engineering Society and is in charge of the Laboratory of Photometric Mechanics, Shandong Mechanics Experimental Demonstration Center. In 2016, she was awarded one of the five highly cited papers by the Journal Optics and Lasers in Engineering. She was awarded the prize of Southeast University HEYE award and the third prize of Qingdao Women's Innovation Achievement, and also was awarded the Oakland University Outstanding International Visiting Scholar. Abstract: The mechanical behaviors of granular materials are governed by the grain properties and microstructure of the materials. We conducted experiments to study the force transmission in granular materials using plane strain tests. The large amount of nearly continuous displacement data provided by the advanced noncontact experimental technique of digital image correlation (DIC) has provided a means to quantify local displacements and strains at the particle level. The average strain of each particle could be calculated based on the DIC method, and the average stress could be obtained using Hooke's law. The relationship between the stress and particle force could be obtained based on basic Newtonian mechanics and the balance of linear momentum at the particle level. This methodology is introduced and validated. In the testing procedure, the system is tested in real 2D particle cases, and the contact forces and force chain are obtained and analyzed. The system has great potential for analyzing a real granular system and measuring the contact forces and force chain. Xinxing Shao is an assistant professor at Department of Engineering Mechanics, Southeast University, China. 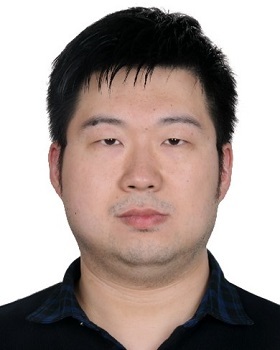 He received his BS degree in engineering mechanics from Southeast University in 2012, and PhD degree in solid mechanics from Southeast University in 2018, supervised by Prof. Xiaoyuan He. From 2015.01-2015.09, he is a visiting student in SUTD, working with Prof. Lujie Chen. From 2016.10-2017.10, he is a visiting PhD student in University of Toronto, supervised by Prof. Kaiwen Xia. His current works focus on image-based deformation measurement techniques and their applications in civil engineering. He has published more than 30 peer-reviewed articles in international journals. Abstract: Camera calibration is a very important part in stereo-digital image correlation (stereo-DIC) measurements. Traditional planar calibration methods have been widely accepted and used in the DIC community. However, the use of calibration board makes it unsuitable for some special occasions, e.g. large field of view (FOV) measurements and long-range measurements. More importantly, the calibration accuracy of the planar calibration method is limited by the accuracy of corner detection. Compared to the traditional corner detection algorithms, the inverse compositional Gauss-Newton (IC-GN) algorithm is expected to achieve better accuracy in sub-pixel level. The use of IC-GN algorithm to extract coordinates of control points can help to improve the calibration accuracy greatly. In order to meet the above requirements, based on the principles of self-calibration, a flexible, high-accuracy speckle-based calibration technique is proposed here, for both digital speckle patterns and general speckle patterns. The technical details of the speckle-based calibration technique are introduced and some typical applications are given for verification, e.g. large FOV measurement, self-calibration 3D video extensometer and camera array measurement et al. The speckle-based calibration technique may contribute to the development of stereo-DIC in both scientific and engineering fields. 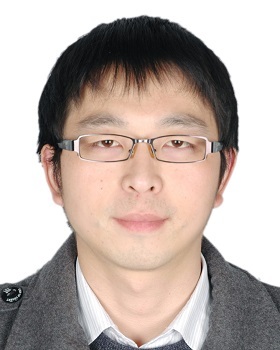 Jing Xu is currently an associate professor in the Department of Mechanical Engineering, Tsinghua University, China. His research focuses on 3D perception and control for industrial robot. He has been involved in several Chinese National Projects regarding quality inspection robot, assembly robot, 3D printing robot. He has published over 100 peer-reviewed journal and conference papers, co-authored 4 book chapters, over 30 issued patents. He serves as guest editor for Journal of Sensors and as the organizing committee member of IEEE ROBIO and so on. He also received two Best Conference Paper Awards in recent years. Abstract: Industrial robot has achieved many successes in automotive manufacturing industry, where the robot performance depends on repeatability. However, it is still a challenge for industrial robot to work in unstructured environment, where the part is always difference from CAD model. Therefore, the real-time measurement is required for path planning and robot control. In this talk, a real-time 3D sensor based on fringe projection profilometry is presented. To obtain high-accuracy and high-robustness perception, a dynamic projection method is proposed for the optically challenging object and a variable-frequency sinusoidal fringe pattern is designed for complex-shape object. Moreover, a visual servoing using fringe projection profilometry is also proposed to position texture-free objects. The proposed methods have been successfully applied in drilling, assembly, spray, and quality inspection in manufacturing industry, resulting in quality and efficiency improvement. Lei Lu received BE from Henan University of Science and Technology, China in 2007, ME from Zhengzhou University, China in 2011 and Ph.D from the University of Wollongong, Australia in 2015. He was a Postdoctoral Fellow in Singapore University of Technology and Design, Singapore from 2015 to 2016. Now he is a lecture in Henan University of Technology, China. His research interests include 3D shape measurement, 3D printing and 3D data processing. Abstract: Phase shifting profilometry (PSP) is one of the popular technologies for 3D shape measurement because of the advantages such as robustness and high accuracy. However, as multiple fringe patterns are required, the object is required to be kept static during the measurement. Errors will be introduced when moving object is reconstructed. A new method employing the movement information is proposed to remove the errors caused by object motion. The object movement is tracked and described mathematically; then, a reconstruction model including the movement information is proposed to describe the fringe patterns of moving object; at last, the phase information is retrieved correctly by the least squares algorithm. With the proposed method, the moving object can be reconstructed successfully with the affordable devices. 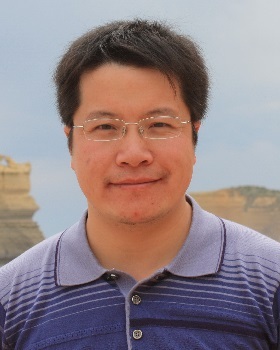 Guanhao Wu is currently an Associate Professor in the Department of Precision Instrument, Tsinghua University, Beijing. He received Ph.D degree in optical engineering from Tsinghua University in 2008. He used to be a visiting researcher in National Metrology Institute of Japan (NMIJ) from 2011 to 2012. His research interests include frequency comb, comb-based distance measurement, light detection and ranging (Lidar) and other precise dimensional measurement technology. In recent years, he has published more than thirty international refereed journal papers (including Optics Letters, Optics Express and Scientific Reports) and he is the holder of ten Chinese patents. 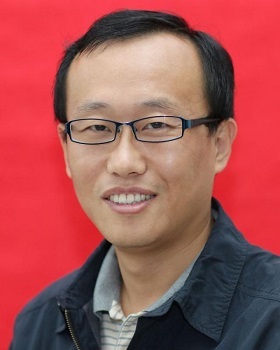 He won Jin Guofan annual young scholar award in 2012 and the Beijing Higher Education Young Elite Teacher award in 2013. 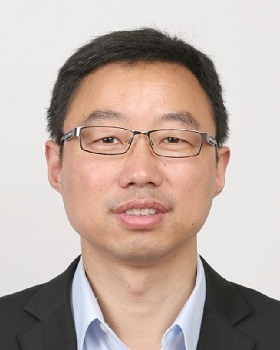 Guanhao Wu has served on several technical and organizing committees for international and domestic conferences including the Conference on Lasers and Electro-Optics (CLEO) Technical Subcommittee member (2016-2018), 24th Congress of International Commission for Optics (ICO-24) Technical Subcommittee member (2017), and the 7th Advanced Lasers and Photon Sources Conference (ALPS2018). 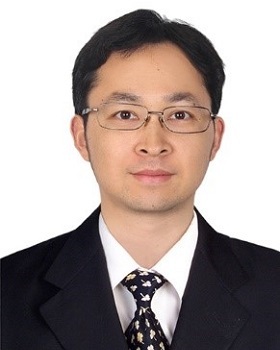 Guanhao Wu is the member of the national optoelectronic measurement standardization technical committee (2015-2020), and the member of metrology instrument professional board of China Institute of Measurement and Testing Technology. Abstract: Abstract	This paper demonstrates an unequal-path phase-shifting interferometer for precise optical surface measurement using a femtosecond laser. According to the periodic low temporal coherence of the femtosecond laser, the relative time delay between pulses from the reference and target surfaces is scanned by sweeping the repetition rate for phase shifting when the optical path length difference (OPD) is set to integer times of the pulse interval, which removes mechanical scanning devices in the interferometer. The repetition rate sweeping is realized by applying a voltage signal to the piezoelectric transducer, which is affixed to part of the fiber cavity of a mode-locked Er-doped fiber laser . The meter-scale OPD is realized by inserting a long fiber into the measurement arm. We use the beam expander which consisted of a micro-objective, a pinhole, and a focal length collimating lens, to expand the reference and measurement beams simultaneously to minimize the effect of wavefront aberrations. High measurement speed is ensured by fast-repetition frequency modulation and a high-speed CCD camera. In particular, an iterative least-squares fitting algorithm is adopted to calculate the phase distribution; it is a random phase-shifting algorithm that neither requires equal interval phase-shifting nor needs to accurately know the repetition frequency corresponding to each interferogram that can simplify the system. With this method, a glass slide surface with a 1.518-μm PV value was successfully reconstructed with a PV standard deviation of 6.2 nm. The results agree well with those obtained by a commercial Fizeau interferometer. The difference in PV value is 0.050 μm and the maximum residual for the whole surface was 0.22 μm. The phase-shifting interferometer proposed in this paper can thus be used for precise surface measurement for optical devices such as semiconductor wafers, optical mirrors, and flat-panel displays. Dr. Yajun Wang received his PhD degree from Iowa State University in 2013.12. After that he conducted research about high-accuracy optical surface measurement in the Institution of Machinery Manufacturing Technology, CAEP. 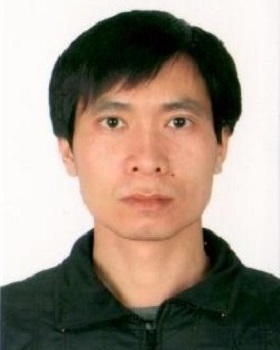 Since 2017 he has been an associate professor in the State Key Laboratory of Information Engineering in Surveying, Mapping and Remote Sensing (LIESMARS), Wuhan University. 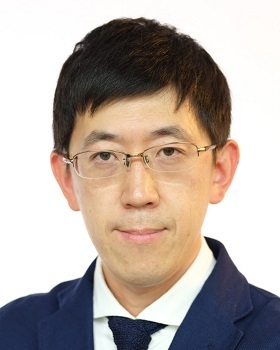 Dr. Yajun Wang has published over 30 journal papers and co-authored two book chapters. He has received the Excellence Research Award from Iowa State University. The major areas of his interests include high-speed 3D optical sensing, machine vision and related applications. Abstract: High-speed and high-accuracy three-dimensional (3D) measurement plays an important role in numerous areas. The recent proposed binary defocusing techniques have enabled the speed breakthrough by utilizing 1-bit binary fringe patterns with the advanced digital light processing (DLP) projection platform. To enhance the phase quality and measurement accuracy, extensive research has also been conducted to modulate and optimize the binary patterns spatially or temporally. However, it remains challenging for such techniques to measure objects with high dynamic range (HDR) of surface reflectivity. Therefore, to overcome this problem, this paper proposes a novel HDR 3D measurement method based on spectral modulation and multispectral imaging. By modulating the illumination light and acquiring the fringe patterns with a multispectral camera, high-contrast HDR fringe imaging and 3D measurement can be achieved. Experiments were carried out to demonstrate the effectiveness of the proposed strategy. Bin Chen is a PhD candidate under Prof. Bing Pan’s supervision. He received his bachelor’s degree from Beihang University. He has published four research papers on peer reviewed journals. 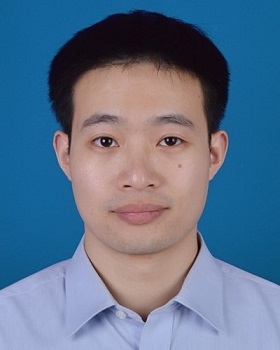 His research interests include: (1) mirror-assisted multi-view digital image correlation; (2) accurate 3D full-field underwater measurement using digital image correlation; (3) high-accuracy camera calibration. Abstract: A low-cost, easy-to-implement yet practical mirror-assisted panoramic/multi-view digital image correlation system comprising a single binocular stereo-DIC system and two speckle decorated mirrors is proposed for full-surface 360-deg/dual-surface reconstruction and deformation measurement in material testing. With the help of the mirrors, different regions of test sample can be observed by the stereo-DIC system directly or through the reflection of the mirrors, which are then reconstructed using regular-stereo-DIC algorithm. The surface segments reconstructed from the reflected surfaces however locate behind the mirrors. By using the speckle patterns premade on both mirrors, both reflected surface segments can be transformed to their real positions in front of the mirrors. In this way, full-surface 360-deg/dual-surface profile and deformation, and further full-field through-thickness strain measurements are realized. For validation, a set of real experiments, including full-surface 360-deg/dual-surface profile reconstruction and deformation measurement of a regular cylinder/plate specimens, and through-thickness (strain) distribution of plate specimens, were carried out. The results demonstrated that the proposed panoramic-DIC technique can provide accurate full-surface 360-deg, dual-surface and though-thickness measurements in material testing with the obvious advantages of low cost, compactness and easy implementation. Shuming Yang, is currently a full professor at School of Mechanical Engineering, Xi’an Jiaotong University (XJTU), China. He achieved his BSc and MSc in mechanical engineering from XJTU, and Ph.D. in nanotechnology and instrumentation from University of Huddersfield (UoH) of the UK. He then started to work at UoH, after that he joined in XJTU till now. His research areas include micro-/nano-fabrication and measurement, optical technology and instrumentation, precision/ultra-precision manufacturing etc. He has held more than 20 research projects including National Key R&D Program of China, National Science and Technology Major Projects etc. He has published more than 120 academic papers and owned 40 patents of PCT, UK, European and China. He achieved the first prize of Science and Technology Progress Award from the Ministry of Education, the first prize of Machinery Industry Science and Technology Award of China, the first prize of Shaanxi Science and Technology Award, and the second prize of Science and Technology Progress Award from the Chinese Society for measurement (CSM), Shaanxi Youth Science and Technology Awards, and Vice Chancellor’s Award of UoH etc. He was elected as a fellow of the International Society for Nanomanufacturing (ISNM), and a board member of CSM, a senior member of Chinese Mechanical Engineering Society (CMES), etc. He is also an associate editor of Journal of Manufacturing Systems, an editor of Nanomanufacturing and Nanometrology, a guest editor of Measurement Science and Technology, and a guest editor of Journal of Advanced Manufacturing Technology etc. Abstract: Optical measurement at nano scale is becoming even more important with the ultra-precision manufacturing and the nano fabrication getting further development. Super-smooth surfaces and structure surfaces at nano scale are widely used to build nano devices and systems. However, the current measurement methods are challenged if surface roughness and the key dimension is down to critical size, and depth-to-width ratio is larger than the length of probe or light cannot reach. For these problems, this talk will discuss the optical measurement methods developed for the structure when the feature size is less than half wavelength, and with a large depth-to-width ratio. 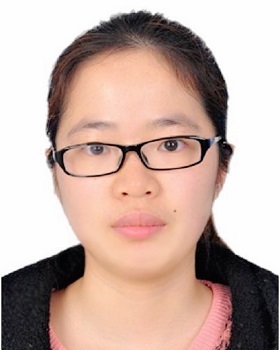 Dr. Yang Yu completed her PhD in material physics at Loughborough University, UK. She is currently working at Taylor Hobson, UK, as a senior applications scientist. Yang started her career as a metrology engineer at the Beijing Metrology Institute, prior to her PhD. She joined Taylor Hobson in 2006 as a metrologist, and then moved to the applications department as an applications scientist in 2010. As an applications scientist, Yang is responsible for the applications of new products, and assisting in the development of these products. She has been mainly focused on the most advanced techniques including a Taylor Hobson’s patented White Light Inteferometry, a MWLI (Multi Wavelength Interferometry) based non-contact measurement technique and a tactile Freeform technique. Abstract: Characterisation of freeform surfaces is increasingly demanded by optical manufacturers, automotive and aerospace industries. It is always a challenging topic for modern metrologists. With the advance of measurement and instrumentation, metrologist now has both advanced contact and non-contact measurement solutions available. A combination of these techniques are able to provide more detailed understanding of the manufactured freeform optical components. In this presentation both contact and non-contact freeform measurement technologies developed by Taylor-Hobson will be discussed. The non-contact technology is based on a patented multi-wavelength interferometry （MWLI） technology. It provides high density 3D data in short measurement times at a highly reproducible form measurement accuracy. The absolute measurement capability of the MWLI sensor technology, together with its non-contact metrology platform through the sensor which accurately follows the designed shape of optical surfaces, enables the precise 3D form measurement of various types of freeform and other optics. With the increasing trend towards wide range of freeform surfaces, 3D contact profilometry are increasingly considered due to its key benefits compares to non-contact technology. The contact method is accomplished by using of ultra-low noise measurement platforms combined with a patented phase grating interferometry (PGI) technology, advanced 3D measurement following the 3D surface design and specially developed algorithms for calibrations and analysis. The large slope measurement capability of the instrument together with its large gauge range, enables 3D surface form measurements for most freeform surfaces. 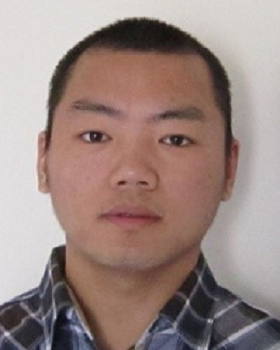 Dr. Yongjun Xie is a research fellow in Xi’an Institute of Optics and Precision Mechanics (XIOPM), CAS, China. He is the director of the research department of new technologies for optics and photonics, XIOPM. He received his PhD degree at University of Chinese Academy of Sciences in 2003. His research interests include freeform imaging optics, diffractive optical imaging technology and large aperture telescope imaging technique. He has published over 20 peer reviewed publications, and leaded several research grants including the National Natural Science Foundation of China, the National High Technology Research and Development Program of China etc. Abstract: Freeform optics offer more degrees-of-freedom to optical design that can benefit compact package size and large field of view for imaging systems. Motivated by the advances in modern optical fabrication and metrology, they have been found in many applications. In this talk, we will describe the challenging optical design, fabrication, metrology and assembly of the all-aluminium unobscured multi-mirror freeform imaging telescopes. The freeform aluminium mirrors are manufactured by diamond turning based on a feedback modification strategy. And, the freeform mirrors are measured by a CGH-based interferometric null test method. All-aluminum configuration has the superiority of athermal and cost effective. Dr. Piotr Zdankowski have received the PhD degree at the University of Dundee in 2018. His PhD work was devoted to building a super-resolution stimulated emission depletion (STED) microscope capable of imaging thick, aberrating biological samples. After receiving the PhD degree he started to work as a postdoctoral researcher at the Warsaw University of Technology in the group of Prof. Patorski. 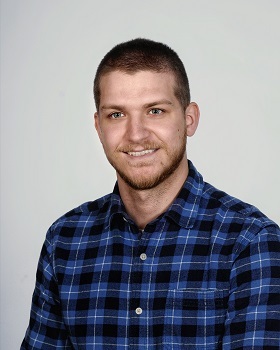 Currently he is working on developing novel quantitative phase imaging (QPI) systems that will enable versatile, robust and easy measuring of demanding biological specimen. Abstract: Quantitative phase imaging (QPI) is one of the modern tools in biomedical imaging. It provides high-contrast analysis of transparent cells and tissues without special sample preparation, as the sample intrinsic imaging contrast is refractive index. We propose a simple, common path QPI microscope system based on Talbot interferometer, that enables low cost and versatile measurements of biological specimen. Interference microscopy is based on the principle of measuring the optical delay introduced by the sample. Thanks to that, QPI does not require using of synthetic dyes or and uses very low light doses to obtain final image. It offers non-invasive and metrological (quantitative) information about measured object. Our common-path interference microscopy system offers very stable, robust and simple optical setup, where beam splitting is ensured by the diffraction grating. It is based on custom-made pure amplitude grating to generate 4 interfering object beams and enables two working modes: shearing and two-beam interferometer. As a result we were able to build a versatile imaging system, that facilitates imaging of wide phase range biological specimen. Prof. Xiaopeng Shao received M.S. (2002) and Ph.D. (2005) from Xidian University of China, respectively. 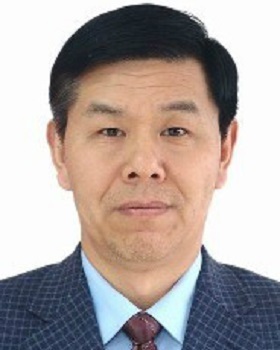 He is currently the Executive Dean of School of Physics & Optoelectronics Engineering at Xidian University. Expert in Computational Photography, Super-resolution imaging technique, Random scattering medium imaging, Polarization imaging, Optical image processing, Remote Sensing and hyperspectral image processing. Author of several monographs, book chapter and more than 70 papers in international scientific journals. And he has owned 12 Chinese invention patents. He is member of the Editor board of Applied Optics from 2016 to present. And he is member of the Optical Society of America (OSA) and the Society of Photographic Instrumentation Engineers (SPIE). He received the Second-Class Prize of Scientific and technological progress of Aviation Industry Corporation (2011). Abstract: The requirements of having longer detecting range, higher imaging resolution and smaller device size are crucial in the modern imaging system. At present, there is no well-developed integrated optical design theory similar to electronics, which leads to large optical volume, heavy weight, large power consumption and high cost of conventional lens. Based on computational imaging technology, we proposed a novel framework of the weight, size, power consumption and price (SWaP) optical imaging technology to solve the problems in the conventional optoelectronic system. The SWaP optical imaging technology involves three steps. Firstly, design a new type of optical freeform surface. Secondly, a whole link global optimization design model was established from optical system to image reconstruction. Finally, the curved-surface detector is used to correct the field curvature aberration of the optical system. The SWaP optical imaging system can break through the complexity limit of conventional lens, greatly reducing SWaP of optoelectronic imaging systems. It can be widely used in UAV monitoring, remote sensing mapping, biomedical, machine vision, forest fire prevention, public security reconnaissance, intelligent monitoring and so on. Ziji Liu graduated from Sichuan University, Mater degree and Phd degree from University of Electronic Science and Technology of China. He used to work as a Postdoctoral researcher in University of California, Berkeley at Computational Imaging Lab, and now is an associate professor in University of Electronic Science and Technology of China. His current research interests are Quantitative Phase Imaging, Fourier Ptychography, and structured illumination microscopy. Abstract: An on-chip phase contrast imaging method is developed based on coded illumination with programmable LEDs array. The fast response speed of programmable LEDs array accommodates high-speed imaging setup, which consists of a Nikon microscope and a CMOS camera. Furthermore, the quality of phase contrast image is further improved by motion deblur and registration algorithm. In experiment, a video of cell ﬂow in microﬂuidic chip with the speed of 0.1329mm/s is obtained using the on-chip phase contrast imaging method, which shows promising applications in high-quality and fast-speed phase contrast imaging devices. 2013 Ministry of Education "New Century Talents"
2012 Tianjin University "Northern Scholars - Young Key Teachers"
Abstract: Micro-Raman spectroscopy is not only an important method for the study of molecular structures of advanced materials, but also is an effective tool of stress analyses for microstructures. For most of the existing applications, Micro-Raman Systems with normal backscattering configuration was used, which was proved applicable and only applicable for the sum of principal stresses. There is a lack of a powerful instrument suitable for the decoupling analysis of stress components. In this work, an angle-resolved micro-Raman system (AR-MRS) was developed as Fig.1 shown. Different from the traditional micro-Raman spectroscopy, this system was built based on an oblique backscattering structure, integrated with the controls of polarization, inclination, and sample rotation. In this system, all the angle parameters, including the inclination angle of the optic path (IA), in-situ rotation angle of sample (RA), incident polarization angle (IPA) and scattering polarization angle (SPA), were all adjustable and controllable. The combination of the multiple angle-resolved control of Raman measurement and the generally theoretic model of Raman-mechanics can realize the decoupling analysis of in-plane stress or strain state. The calibration experiments showed that this system was effective enough to detect stable, reliable and accurate spectral data. Moreover, the application experiments were also carried out on the graphene samples and (100) monocrystalline samples under in-plane stress state. The results proved that, by adjusting the IA, RA, IPA and SPA, the stress/strain components can be decoupled quantitatively, which exhibited a prospect of this angle-resolved micro-Raman system widely applied on the mechanical analyses on microscale in related scientific fields. 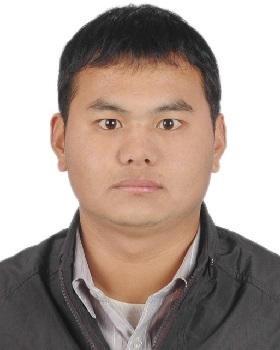 Sikun Li received his PhD degree in optical engineering from Sichuan University, China, in 2011. He is currently an associate professor at the Shanghai Institute of Optics and Fine Mechanics (SIOM), Chinese Academy of Sciences. 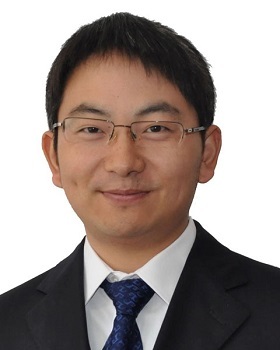 His research interests include computational lithography for DUV/EUV lithography, optical 3D shape measurement and optical information processing. Abstract: Computational lithography is one of the most important enablers of the Moore’s law, especially when the critical dimension of the features is approaching the physical limits in integrated circuit manufacturing nowadays. It maximizes the performance of the lithography tool and optimizes the processes by using simulation and numerical computing techniques. It has been involved in holistic lithography, which is the trend of lithography, as one of three contents besides the lithography tool and metrology. Our research and development of computational lithography will be reviewed in this presentation. The key techniques of imaging modeling, source/mask optimization, source and mask co-optimization, etc. will be introduced. The solutions and results will be presented. Dr. Wenjiang Guo obtained her PhD degree from Nanyang Technological University Singapore in 2015 in the field of optical metrology. From 2014 she worked with the Agency for Science and Research (A*STAR) Singapore, as a development scientist mainly working on metrology and non-destructive testing (NDT) related projects. She moved to the Aviation Services Research Centre (ASRC) of the Hong Kong PolyU in 2017, continuing to explore metrology and NDT especially for applications in the aircraft maintenance field. Abstract: Non-destructive testing is one of the most critical process in the aerospace maintenance overhaul and repair (MRO) sector. However, due to the nature of the industry, the technologies used are severely lagging behind and rely considerably on human effort. The ASRC has been working intensively in this area with the aim of implementing advanced NDT technologies in MRO, to make the inspection more efficient, repeatable, and reliable with improved accuracy. Various NDT methods have been investigated and researched, ranging from visual detection to thermal inspection. The developed advanced NDT solutions enable the possibility for automation and provide a much more comprehensive data set that will definitely help our MRO partners in making better decisions on any follow-up actions. 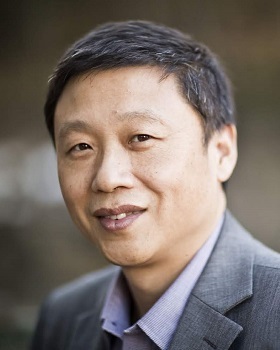 Tao Li, Professor, College of Engineering and Applied Sciences, Nanjing University. He received his PhD degree in Physics in NJU, 2005. He joined CEAS of NJU in 2008, and was promoted to full professor in Dec. 2013. He was selected to "Dengfeng Talent Program B" of NJU in 2012, and won the "National Funds for Outstanding Young Scientists" and "K.C. Wong Education Foundation" in 2013, award "Person of Year 2017" by Scientific Chinese and "Young and middle-aged leading scientists, engineers and innovators" by MOST in 2018. He is specialized in research of micro-nano photonics, plasmonics, and metamaterials. Up to date, he has published more than 80 peer-reviewed journal papers (including Nature Nanotech., Nature Comm., Phys. Rev. Lett., Nano Lett., Light Sci. Appl., Laser Photon. Rev., etc), which received more than 2500 citations with a current H-index of 28 (Web of Science). Abstract: Integrated photonic devices usually exhibit high structure-sensitive performance, which strongly prevents the practical applications. Fortunately, recent topological photonics provides some robust designs for photon behaviors. In this work, we experimentally demonstrated the topological directional coupler and beam splitters based on coupling of topological edge states in a Su-Schriffer-Heeger (SSH) modeled silicon waveguide array. The experimental results show that the intentionally introduced discrepancies almost have nothing to do with the coupling functionality. Moreover, the topological devices also show much broader working bandwidth than the conventional ones, promising better performance in photonic integrations. Our results would excite more explorations in topological physics, and hold great promise for future applications. 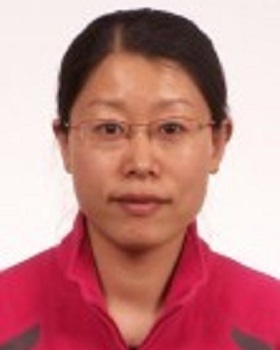 Yang Wang, Associate Professor, Shanxi University, China. She got Master and Ph.D degree from Royal Institute of Technology (KTH), Sweden. She was proposed as “Sanjin Outstanding Talents” in 2018. She received Nodic PolyRefNoth Network Award, Sanxi Outstanding Academic Paper Award, etc. She has been invited to serve as grant reviewer for NSFC. Her research interests focus on optical biosensing and carbohydrate digestion enzymes. 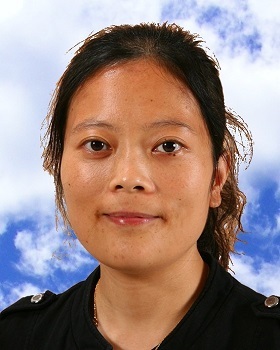 She has successfully led 3 (as PI) and attended 6 research projects funded by Ingvar Carlsson Award from the Swedish Foundation for Strategic Research, National Natural Science Foundation of China, Ministry of Education of China, etc., published 2 books and more than 10 refereed journal articles, 1 ESI highly cited paper. Abstract: Biosensing, one of the most rapidly growing analytical tools developed for the detection of analytes and other parameters of biological interest, has been widely applied in different areas, for example, environment, diagnose, food and agriculture. Among different types of biosensors, enzyme-based optical biosensors offer many obvious advantages like high sensitivity, in-line determination, fast and remote detection. Importantly, they have high specificity/selectivity and can achieve lower detection levels, which can be used for early identification of analyst changes in real time. Liangcai Cao received his BS/MS and PhD degree from Harbin Institute of Technology and Tsinghua University, in 1999/2001 and 2005, respectively. Then he became an assistant professor at Department of Precision Instruments, Tsinghua University. 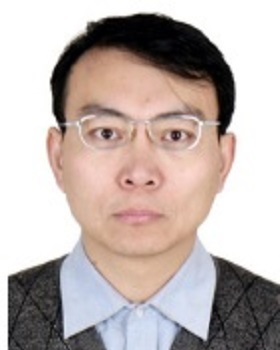 He is now a tenured associate professor at Tsinghua University. He was a visiting scholar at UC Santa Cruz and MIT in 2009 and 2014. His current research interests are information imaging, storage, processing and display based on holography. He is SPIE Fellow and OSA senior member. Abstract: Coded aperture imaging has been an attractive technique for its thin and easy-to-build form. Fresnel zone plate is a common mask plate used to focus light in diffraction optics field. It has been introduced in incoherent imaging as a coded aperture, and named as Fresnel zone aperture (FZA). When an FZA is placed in front of an image sensor, the incident incoherent light will project the FZA pattern onto image sensor, which codes the incoherent rays as wavefront. Digital holography reconstruction and related technologies could be applied to incoherent imaging. We propose an image reconstruction method with FZA by using compressive sensing (CS). The noise-free images could be reconstructed from an FZA coded image based on the CS algorithm. Dr. Zhenyu Jiang received his Ph.D. in solid mechanics from the University of Science and Technology of China. He is currently a professor at School of Civil Engineering and Transportation, South China University of Technology, China. His research interests include mechanical behavior of advanced polymer composites and experimental mechanics. He has authored and co-authored over 50 peer-reviewed scientific articles in international journals and two research book chapters. Abstract: High accuracy, robustness and computation efficiency are the main targets that the researchers pursue in the methodology study of digital image correlation (DIC). The first target was well achieved by employing the iterative DIC algorithms, e.g. the inverse compositional Gaussian-Newton (IC-GN) algorithm. However, the iterative DIC algorithms are time consuming and their convergence relies upon the initial guess to a large extent. This talk aims to demonstrate our recent efforts to solve the latter two issues. Firstly, a path-independent DIC strategy was designed to eliminate the spread of error among the points of interest (POIs). This strategy also facilities the application of parallel computing to speed-up the processing. Secondly, two methods to estimate the initial guess were proposed. One is based on the fast Fourier transform-based cross-correlation (FFT-CC), which provides a highly efficient way to estimate integer-pixel displacement at each POI. The other one gets the deformation vectors at each POI by using the image features extracted through scale-invariant feature transform (SIFT), which shows outstanding adaptability to large and complex deformation. Thirdly, computation power of GPU was exploited to develop ultrafast path-independent DIC, which meets the requirement of real-time DIC computation with high resolution around 100x100 POIs. 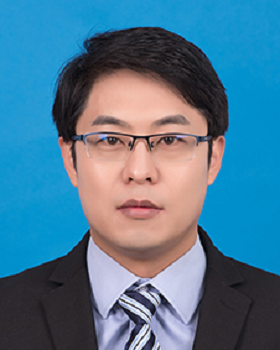 Mr. Jiasong Sun is a post-doctor at the department of Electronic and Optical Engineering, Nanjing University of Science and Technology (NUST). He received his B.S. from SooChow University in 2012 and Ph.D. from NUST in 2019. Now he is in the Smart Computational Imaging Laboratory at NUST where the research interest focuses on computational imaging, phase retrieval, super-resolution microscopy, and optical information processing. Abstract: Recently, with the increasing demand for high-accuracy three-dimensional (3D) imaging and localizing of the internal subcellular structures in cells, quantitative refractive index tomography technique has been developed and widely applied in various fields, such as molecular biology, biochemistry and cell biology. Thanks to the non-interference, large field of view and high resolution advantages of traditional Fourier ptychographic microscopy (FPM) technique, quantitative phase tomography (QPT) method based on multi-slice (MS) FPM has attracted considerable attention lately. However, since the reported MS model is simply established on the traditional two-dimensional FPM, it is difficult to characterize the 3D diffractive propagation properties under large oblique illumination angles accurately. In order to solve this problem, an improved MS model for 3D FPM is proposed in this paper. First, the phase difference image of each slice under the vertical illumination is regarded as the standard phase map. Then, based on the law of refraction, the true phase delay of each slice under the large oblique illumination angle is established according to the 3D optical path difference variation. The numerical error between the true phase delay and the standard phase map is then compensated in the iterative reconstruction algorithm, and finally the reconstruction accuracy and quality of the 3D QPT could be improved. 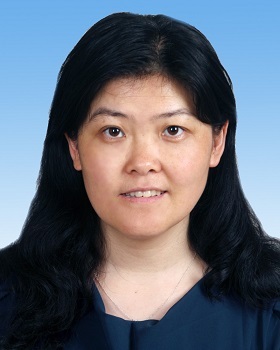 Caojin Yuan received her PhD in Optical engineering from Nankai University, in 2008. She obtained “Humboldt Scholarship” to support her postdoctoral research in ITO, Stuttgart University (2009-2011). 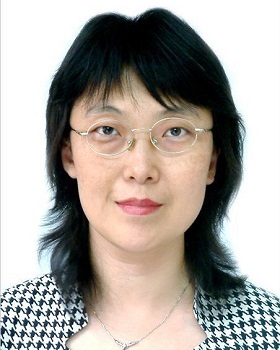 She is a professor at Nanjing Normal University and the director of the Opto-Electronics engineering department. Her research interests include: digital holography, microscopic imaging and light field manipulation. Abstract: Principal component analysis (PCA) is a method of processing high-dimensional feature data, which can be decomposed into a set of unrelated variables called principal components. Digital holographic microscopy (DHM) is a powerful tool in the biomedical imaging for recording the amplitude and phase information of object simultaneously. Structured illumination (SI) has been introduced in DHM to improve the resolution, by which the resolution can be doubled. However, accurate phase-shifting is required to retrieve and synthesize the low and high frequency information. Besides that, the aberration of imaging system makes DHM under SI cumbersome. This paper presents an algorithm based on PCA for DHM under SI. The aberration terms can be extracted from the first principal component of the exponential term of filtered hologram. Moreover, the low and high frequency information can be achieved from three images without prior knowledge of phase shift values. In synthesizing process, the spectrums are precisely shifted to the correct position in the spatial-frequency domain also based on the PCA. This paper verifies the feasibility of the PCA algorithm from the simulation and the experiment. It is an attractive and promising technology for DHM under SI. Chunwei Zhang received the B.E. degree from Qingdao University of Science and Technology in 2010 and the Ph.D. degree from Xi'an Jiaotong University of China in 2017. 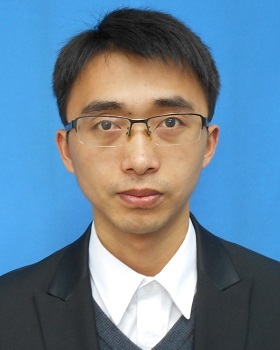 He is currently a research associate with the Institute of Optics, Xi'an Jiaotong University. Since his PhD's study, he has been devoting to researching on the phase accuracy evaluation and phase unwrapping in fringe projection profilometry (FPP), has published more than 10 papers, and been granted four Chinese invention patents. He will pay more attention to application of FPP in wide fields in the future. Abstract: Multi-frequency phase unwrapping algorithm (MFPUA) are among the most robust and efficient phase unwrapping methods, and hence widely adopted in various optical measurement techniques, such as fringe projection profilometry, interferometry, and so on. However, if they are not well designed, or the measurement condition is poor, fringe order error (FOE) will be triggered during the phase unwrapping, which will result in phase unwrapping error. This paper is for coping with FOE without consuming additional fringe patterns for phase unwrapping. Firstly, a parameter called fringe order inaccuracy (FOI) which is applicable to all of the representative MFPUAs is defined. Secondly, FOI is employed to help quantify the possibility of the occurrence of FOE. Lastly, a fast FOE correction method is proposed with aid of FOI. Experiments validate that the proposed method contributes to suppressing FOE while sustaining the efficiency of MFPUA. Dr. Zhiqin Li is the technical support specialist of BMF Precision Technology Co,Ltd. She earned her B.S. degree in Electronic Science and Technology and Ph.D degree in Physics from Hunan University. 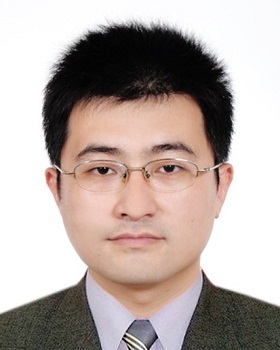 Dr. Zhiqin Li has more than six-year experience in micro/nanofabrication, including the process and related applications. She has also published series of papers in micro/nanofabrication and nanooptics fields. Abstract: BMF Precision Technology Co,Ltd. is a global solution provider for High-resolution, scalable 3D microprinting technology and disruptive precision manufacturing. Based on this technology, a series of nanoArch 3D printing systems have developed with high optical resolution of 2 μm - 50 μm to realize mold-free, one-shot fabrication of complex 3D micro/nanostructures. By integrating technology, material and process, the systems meet the demand of world research teams working on precision optical, new materials, micro-nano mechanical system, biomedical and more other fields to fabricate complex 3D micro/nanostructures.